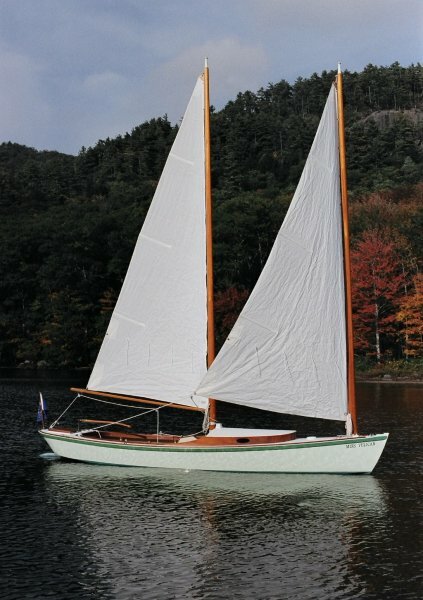 The Milford 20 is a trailer-able shoal draft sharpie schooner modelled on the New Haven sharpies of the late 19th. century. It was inspired by Mark Fitzgerald’s FLORIDAYS design, as published in Reuel Parker’s Sharpie Book and featured in Watercraft Magazine. The design is endorsed by Fitzgerald as an alternative to FLORIDAYS, plans for which are not available. Construction is ply over timber framing and is aimed at the amateur builder. 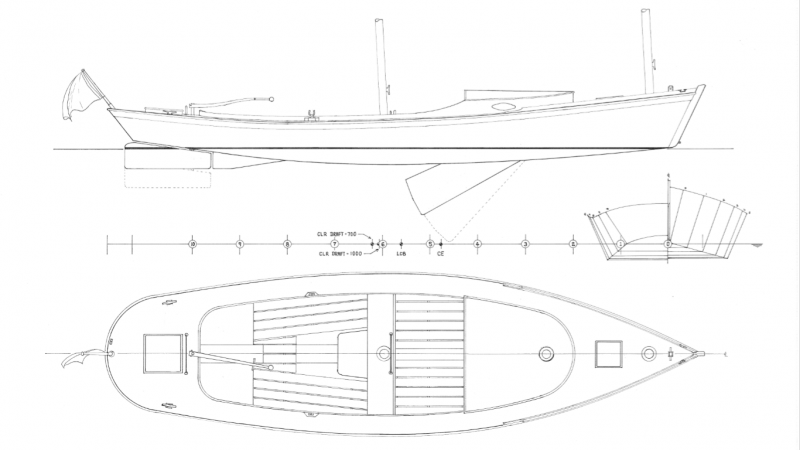 There are two rig options, cat schooner and cat ketch. Plans are well detailed and full lofting is not required.